One of the best ways to create a sense of space, fluidity, and beauty in your business storefront or restaurant patio area is to form a connection between the interior and the exterior. There are several methods you can use to achieve this, but here we explore the use of exterior frameless sliding glass doors. Whatever your space limitations, style, and brand values, you can Welcome the Outside In™ with the following ideas for storefronts and restaurant patios. Utilizing all your space has to offer means you need to think vertical. This will allow you to bring your design to more areas of your establishment without cluttering places near the floor — particularly important in small spaces. Improving aesthetics on a vertical level also draws customers’ eyes up, helping them to take in everything. This makes it easier to communicate your brand message without making a huge investment. 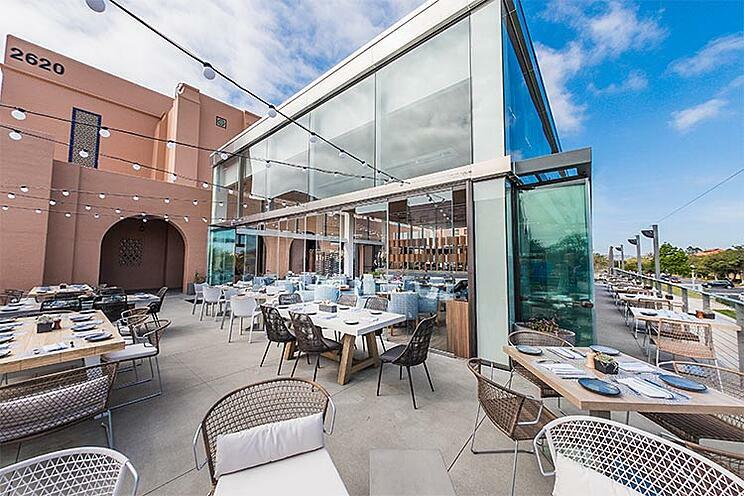 An example of a business that has taken advantage of vertical space and outdoor restaurant patio area is The Lot at Liberty Station in San Diego, CA. The walls are frameless glass doors all around, but the design changes as it moves up to maintain visual interest. 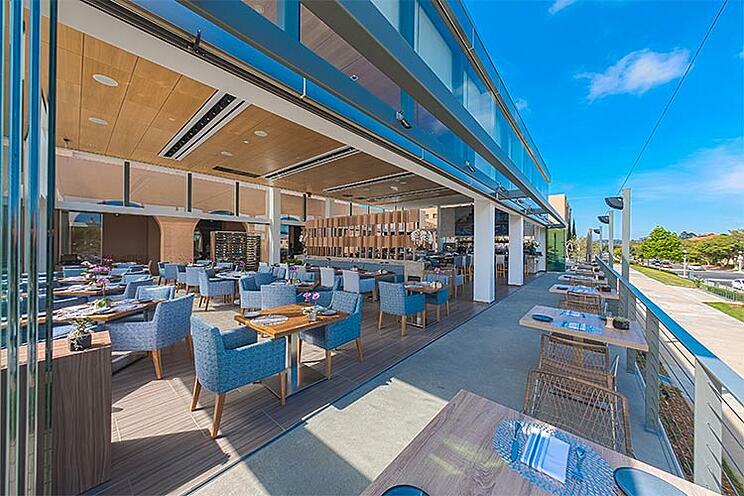 The vertical design continues outside in the restaurant patio space, where a string of lights allow diners to enjoy the outdoor area at any time of the day. Finally, The Lot has introduced a variety of materials into its vertical design behind the bar, on an island, and on some windows. Minimalism is one of the most fashionable choices at the moment for interior and exterior designs in storefronts and restaurant patios. The style allows you to showcase your product without distractions. With a minimalist design, prospects are encouraged to reflect on what their brand means as well as how it meets their needs and matches their own values. By creating an inviting space that takes advantage of the elements, you can create an all-seasons dining area. Frameless glass patio doors are particularly ideal for forming an indoor-outdoor transitional space. 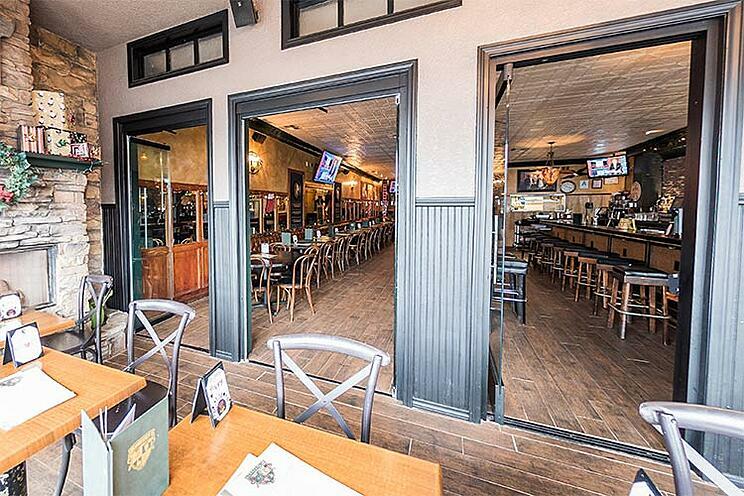 Another option is frameless sliding glass doors throughout your restaurant, allowing you to open up entire walls and let air and light flow through. Plus, you can maximize comfort indoors by choosing from a variety of glass tints to handle the sun — these tints can also protect your employees, patrons, and furniture from UV rays. For fenestration products and exterior doors (including external frameless sliding glass doors), you need to comply with Title 24 energy-efficiency standards. All frameless glass door systems from Cover Glass USA are Title 24-compliant. In fact, they go one step further — all our panels are coated in Low-E for maximum energy efficiency, helping you may a minimal cost for heating and cooling in your establishment.